Do you ever see a vehicle stopped on a back country road and immediately ask yourself "I wonder what bird(s) they're looking at?" Apologies for the additional Niagara River posting. the Queenston Docks mid morning. harassed birds near the power plants. It was an intermediate juvenile. previously on the New York (Genesee) list. Glaucous Gull - a 2nd basic bird sitting above the falls. not with the 20+ Turkey Vultures which wandered into Ontario). I don't remember the exact day, but I was at Van Wagner's early last week when there was a very decent NE wind blowing. 2.5 hours was as long as I could last in the cold (and moderate bird activity). Also picked up lots of ducks, a few Red-throated Loons, etc. I'm currently writing this on Sat Nov 26, and they're saying winds NE 50kmh on Wednesday (Nov 30)... Always hard to predict that far in advance, but somewhere around there could be one of the last chances until next August to do some lake watching. And also the Grimsby Buoy (a favourite), which is currently gone for the winter, and now useless. Looks like a decent weather system moving through now and over the next 3-5 days... But we are running out of time when it comes to "good birding season" ... Beyond some late winter CBC's, things get pretty slow on the vagrant front until all heck breaks loose in late April 2012. The next 3-4 weeks usually shift from birding to photography for me! just because I'm home, doesn't mean I have all that much time to answer emails and write blog posts - but I'm working on it. Probably the best Hoary Redpoll flight shot I was able to get while at Netitishi Point a few weeks ago (James Bay) - This bird might actually be a female Hornemann's to boot, but it didn't land long enough to confirm. What do you think? Photos of the "fully documented" Hornemann's Hoary from the trip when I get to it! I've always had tremendous luck in finding Lesser Black-backed Gulls. Apparently my internal magnet is directed at them, and they come seeking me out. This point continued on my recent trip to BC with my darling girlfriend Jenn ---- we were driving down a major highway (with her sister+her boyfriend) --- and I couldn't help but notice this adult LBBG swimming in a channel beside the highway. We stopped, and had spectacular looks at the bird, hanging out with a handful of Herring, Thayer's and California Gulls - and snapped the pictures seen here. 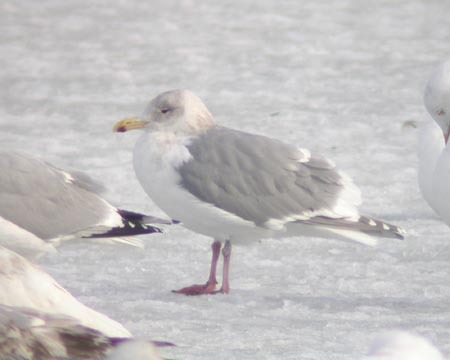 The LBBG with California Gull on right. Settled at home for the first time in about a month - will have lots of pictures/videos etc from my recent visits to BC and Netitishi Point to post - whenever I eventually get around to it! I was happy some things managed to auto-post to the blog while I was gone, even if they weren't in the correct order. And I'm sorry about the spam posts --- not sure how they happen yet --- but I hope you're all finding your new degrees useful! November 8 -- We had a flock of 8 peeps that were clearly smaller than the numerous Dunlin, White-rumpeds, and Sanderling. Before we had a good study of them some of them flew off to the east, but we had good looks of at least one of the birds that remained and were able to identify it as a Western. Presumably the other peeps in this flock were also Westerns. A total of 32 individuals were seen, birds were seen everyday of the trip, except one (November 3). The high count was 14 birds on November 9th. 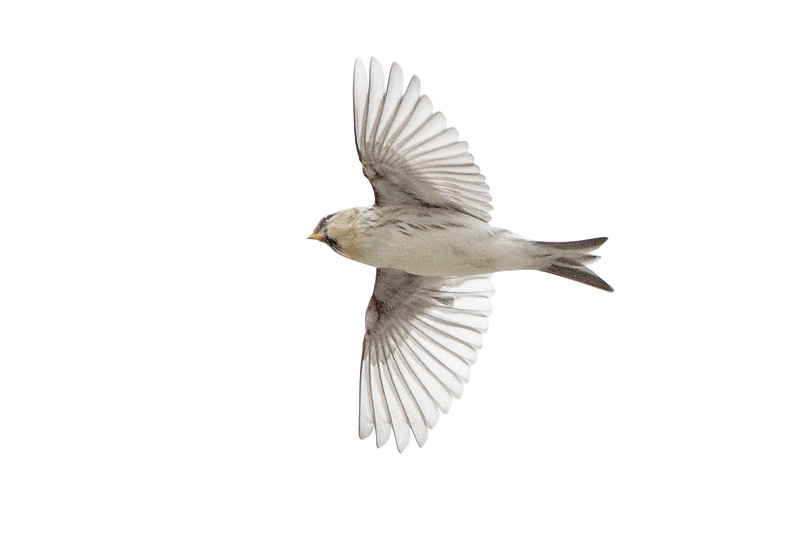 We had daily flights of Redpoll flocks coming in off of James Bay. Based on slight differences in flight calls (backed up by the odd bird that landed and Brandon's excellent in-flight photos) we were able to identify over 300 Hoary Redpolls (about 25% of identified Redpolls). It is likely that we saw several 'Hornemann's' based mostly on flight shots by Brandon but we had at least one bird we were confident on (that landed long enough for us to study it) on November 2. We saw several thousand shorebirds throughout our trip, with many species present in high numbers given the late dates for Ontario, let alone James Bay. I've listed the shorebird species we saw throughout the trip (not already listed above), with the high count observed. 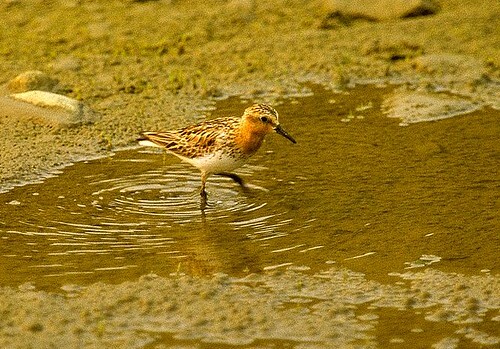 On our last date at Netitishi there were still 150 White-rumped Sandpipers, 100 Dunlin, and 75 Sanderlings present. *Rose-breasted Grosbeak - 1 female in Moosonee on October 28! Throughout the entire trip, temperatures ranged from -6 to +10 degrees C. Winds were predominantly from the SW, with only one afternoon of sustained N winds (no doubt why we didn't see more pelagics/Fulmars)! We were delayed coming back a day due to a snow storm on November 10th. Shimmer didn't pose a serious problem this trip, likely due to warmer temperatures. Netitishi Point is located 21 miles due east of Moosonee, on James Bay. The point itself is situated on raised beach ridges, which not only protect from high tides. Point. Land helicopter. You're there. A bit of a strange and unusual blog post. I keep a list of ~100 species that I predict could occur in Ontario, with most obviously being really crazy and very unlikley. One species I never actually bothered to add was Yellow-nosed Albatross.. Which was seen and eventually grabbed (2 weeks later, undetected) near Kingston.... So here's a fun list of 10 species that I actually had on my list (before the albatross), that seem really crazy in their own right. 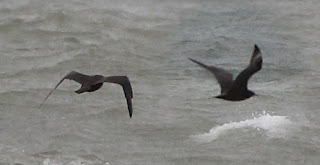 Fea's Petrel --- With the rash of Black-capped Petrels that have occurred during "hurricanes" in Ontario, is it really tooo crazy to predict that one of the "big 3" rare Pterodroma petrels could occur in Ontario? (Trindade, Fea's or Bermuda?) --- I think Trindade is the most likely, and Bermuda would be the craziest, so for this article I took the mid-road and suggest Fea's. Sure seemed more likely than a Yellow-nosed Albatross. Magnificent Hummingbird --- There are a number of Hummingbirds that Ontario could add to the list, but it may surprise you that Magnificent Hummer actually has a bit of a vagrancy pattern northwards. YES, it is still REALLY unexpected, but more unexpected than YNAL? no way. Gray Vireo --- Records closer to Ontario than you'd think, and heck Ontario already has some crazy southern vagrants like Varied Bunting, so someday we may see the post on Ontbirds. 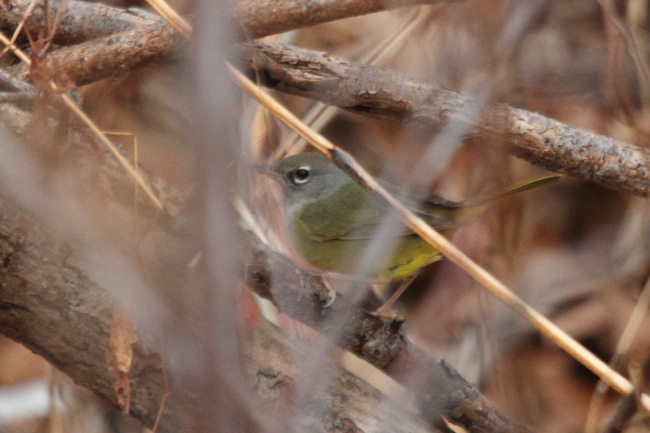 Grace's Warbler --- a recent record on Lake Michigan in Illinois says it's only a matter of time before this species gets found on Lake Erie (or banded at Thunder Cape.........) seems outlandish, but nothing compared to YNAL in my opinion! Arctic Loon --- Pacific Loon may seem hard enough to find in Ontario, but if any location is primed to find it "in the east" - it's us. Long shorelines of 4 great lakes, James and Hudson bay could easily catch one.. We just need to find it. Pinyon Jay--- yeah yea, you get the point.. Just like the others, this species has more of a pattern of vagrancy (and is/was probably a better candidate to occur in Ontario than YNAL) .... But seriously, no one ever expects Pinyon Jay to occur... (not really)..... but it makes the Albatross record look that much more spectacular. Starting things off with an oddity... This species is almost impossible to predict... Actually it's as easy as predicting when the next hurricane leftovers will strike the east coast of the USA, then move inland over Ontario.. Good Luck! When: Post Hurricane in August or September!!! We just need a big storm!!! This one is probably going to be post Hurricane similar to Bridled Tern, but has the advantage of not totally relying on a Hurricane to arrive (see Ontario's record of Audubon's Shearwater)..
Where/when: most likley is an August/Sept Hurricane, but one could be randomly found dying on Lake Erie/Ontario in July (without a storm) in any year. A big striking woodpecker comes in at #18.. Birders in Minnesota watched a bird fly straight towards Ontario, but we never found it. There's also a June record for the Fire Island Lighthouse on coastal New York!!!! When: I'd love to see this species in the last few days of April along Lake Erie! Although NW Ontario may be better situated. There's a solid 10+ species of Hummingbird that could show up in Ontario as a "1st" - but a record of this species in Ohio is what convinced me to put it on the list here (+ Massachusetts). Had to pick one, right? When: some random backyard in some random town in late Oct or November.... Hopefully the "landowners are birder friendly". 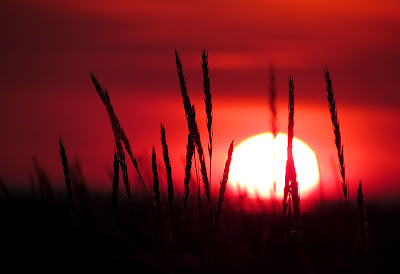 When: July/August on the shores of James Bay.... I figure we'd have 95% of the shorebirds seen in North America if there was steady coverage up there... Unfortunatley 99.9% of it is very remote and virtually never covered. Ontario has 3 records of Fieldfare, and we're just waiting for a Redwing now. I've heard that Redwings have replaced Fieldfares in Greenland, accounting for the increase in records. So how long until we get one? My photo from Point Pelee. Just another species with an established pattern of vagrancy that hasn't occured in Ontario. The great lakes love catching far-flung vagrants, and I feel a cowbird in our future. 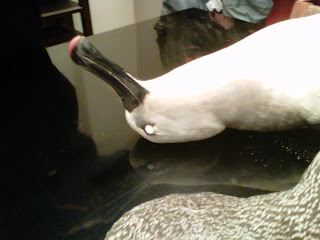 There's a chance that this species was actually seen at pelee 50-60 years ago but they couldn't figure out what it was??? When: I'd like to see Pelee or Long Point in May. Maybe Thunder Cape in early June? Go go gadget goose! Barnacle Goose was finally added to the ON list with a banded bird shot. Pink-footed Goose is rarer, but is very rare in captivity and a sighting in migration season would probably count on the first try. This species is increasing as a breeder in Greenland I think! When: #1 spot - Ottawa area in April. #2 spot- Somewhere in Eastern Ontario (Toronto eastward I guess) in November... #3 spot - Slight chance is James Bay in October if anyone's looking. When: Hillman Marsh Shorebird Cell in May. 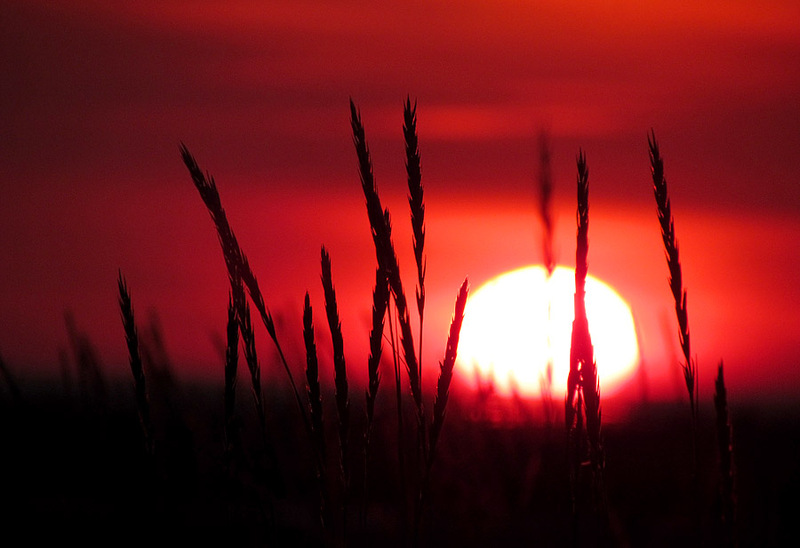 Or Pelee Island in late April in the fields. Ok, this is kinda boring. It will look like a baby Rufous, until someone bands it. But it is a likely addition to our list. When: May 2-4 weekend. We often get a push of cold NE winds at this time of year in Ontario, and Long Point/Pelee are good bets to be where one is spotted, trying to head back south.... It will probably "arrive" in mid/late April (Beamer hawkwatch, Pelee Island?) but it may go undetected until it migrates "south" a few weeks later and hits one of those famous sand spits. There are too many records of this species around us for Ontario to not have it on the big list. Heck, I think New York has had 2 in the last 10 years. HECK, we have 3 records of Gray Flycatcher, which may be less likely? This species would probably be on everyone's "top 10 list" --- Ohio and Michigan have records on Lake Erie, and we practically own lake Erie. It's a fairly distinctive species too. Not like some crazy sparrow that is lurking in the bushes. These things are obvious. When: my prediction is Pelee Island in August, but Long Point (Tip, Breakwater, Bluff's Bar etc) is also a prime spot. Doesn't feel like a Pelee bird to me.. Not with the current state of the beaches etc. there. 10% chance it shows up at Coburg Harbour or Presqu'ile. 10% chance around Fort Erie too. My photo! I bet the first for Ontario won't be so darn pretty though. 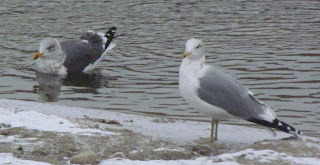 This would be a mega mega rare bird for southern Ontario, but not out of the realm of possibility. Any of our vagrant traps could pick one up, spring or fall... Or some random feeder in middlesex county in winter.... But lets be serious here. This is a bird that REALLY should have shown up in northern Ontario by now (Thunder Cape? or is that too obvious). The shoreline of Lake Superior has probably had a few, but no one is looking at 70% of the shore. Someone will eventually have one show up mid/late fall at their feeders, and we will all have to decide how far we are willing to drive for a bird! When: hope you have some funds for gas. Late fall, northern Ontario. Sure, Western Grebe is rare enough. And this species falls down the list due to excellent views required for a positive ID - but it is one of those birds that has already been pretty close to us, and it's only a matter of time. April or early may - anywhere there is some suitable water. Let's stick to the top 3 though, ok? When: late Arpil/early may in the south. Mid to late May in Rainy River/Emo lagoons. Since most of us are not proper-coastal, I guess we can be forgiven for not having Red-necked Stint on our list. Actually wait, no we can't. Red-necked Stint is on state/provincial lists left/right and centre! For cryin out loud, we've already had at least 3 Little Stints seen in Ontario... In all honesty, there's probably been 20+ individuals on James/Hudson Bay in the last 50 years, but the odds of finding them up there are really low.. Thank god there's been an increase in coverage up there though! It'll happen soon! ROM shorebird crew power! When: James Bay in Late July or Early August! One of those odd birds where there's probably been at least 2 "good" records rejected by the OBRC.. So you could almost argue that it's already occurred. But even still, there's no good reason for us to not have a fully/properly/totally documented record. Why do the banders at Long Point catch so many incredible vagrants, but no "western warblers" ? How long do we need to wait for Thunder Cape to catch one? Or the masses at Pelee to find one in May? Or a late fall vagrant somewhere?! Come on now! When: whenever you find one! Get lookin! Maine in 2009 - in december! MA in 2009 - I think MA has like 10-12 or more records!? Braddock Bay, NY (Lake Ontario Shoreline) in June, 2003 !!!! 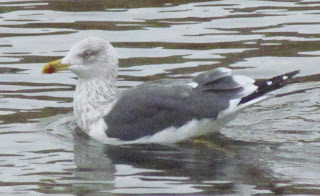 Considering Ontario has some pretty spectacular gull watching and watch-er's, it's puzzling how this species has never been found here. We have over a Dozen Ross's Gull records, Slaty-backs, Kamchatka & Common Gulls, Black-tailed, Ivories, Vega and European Herring Gulls. So what gives? Michigan has 2 right? Or 3? Illinois has had multiple birds in the past few years. Heck, Newfoundland has 2 records... There is no other way to put it than "really overdue" for the province. Thunder Bay, Moosonee/James Bay, Point Pelee, Sarnia, Niagara River, Hamilton/Toronto, Landfills in Eastern Ontario (eg Ottawa) could all turn up this beast!!! Hopefully soon !! !